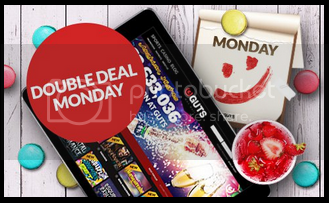 To bring out everybody’s Monday morning smile we are offering you a double deal to start the week. Use the bonus code DOUBLE and get 40% casino bonus up to £40 (€40, $40). On top of the sweetest bonus around we will also give you free spins on Tuesday. Just deposit at least €20 (£20, $20) and wager the amount in the casino and you’ll have 15 free spins waiting for you on Tuesday at 11.00CET. You don’t have to use the bonus in order to be entitled for the free spins! You’ll see the game of the week straight from the promotions page. Offer is valid on Monday 00.01CET - 23.59CET. Standard bonus terms apply.